In recognition of the small business community’s contribution to the American economy and society, the President of the United States designates one week each year as National Small Business Week. The national celebration will take place in May of 2019 in various cities across the Country. The SBA often in conjunction with public- and private-sector small business supporters, will host special events at the local and state levels to honor and present awards to local entrepreneurs and those who support and advocate for small businesses. Statewide winners of the Small Business Person of the Year and the Small Business Exporter of the Year awards will also be eligible to compete for their respective titles nationally. National award winners will be announced during National Small Business Week in May of 2019. For a full description of these awards and instructions on how to apply, please visit the North Florida District Website. All nominations must be submitted no later than 3 p.m. EST, Jan. 9, 2019. 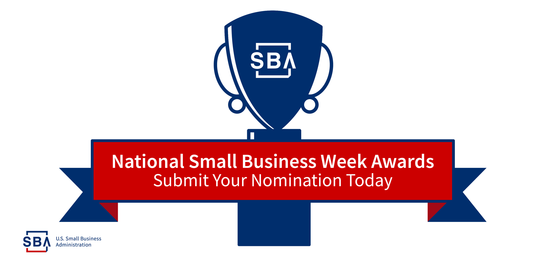 All applicable nomination packages must be hand delivered or mailed to the SBA Office. Email submissions will not be accepted. Additional National categories include: Phoenix Awards (for disaster recovery), Federal Procurement Awards, Small Business Investment Company (SBIC) Awards, and SBA Resource Partners Awards. 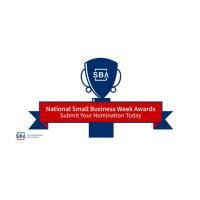 For more information about these additional categories, please visit www.sba.gov/nsbw/awards.